So what’s a girl to do? I certainly don’t have the original to study and take measurements from. I don’t have a copy of The Funeral Effigies of Westminster Abbey so I can check out Arnold’s commentary. I have a copy of Norah Waugh’s Corsets and Crinolines, which has a picture of the corset laid out flat and a caption that dates it to the 1760s. There are no measurements given, it’s not one of the sketched out examples, and you can sorta tell that it’s been distorted by a few hundred years on an effigy. But it’s all I’ve got. 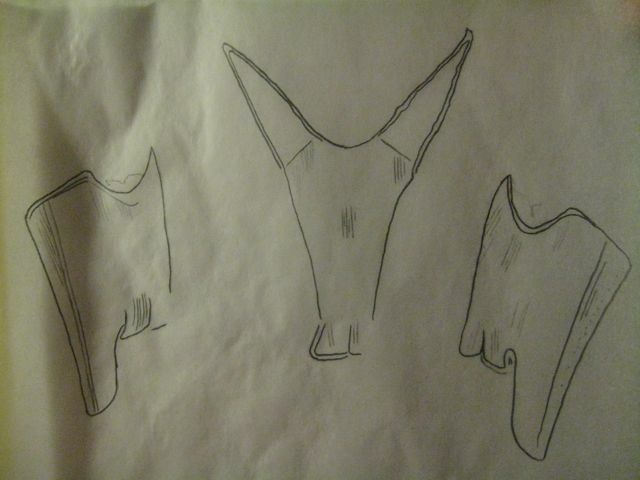 I traced the outlines of the corset pieces from Waugh's photograph, but separated them. 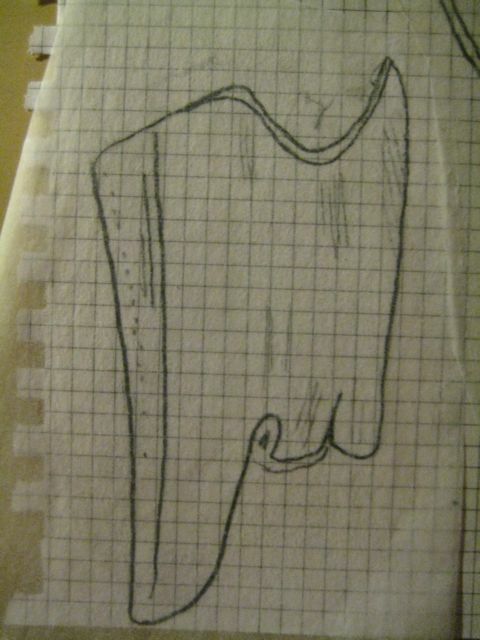 I also traced some of the boning lines, especially where it looked like the bones were curved from wear. You know, tracing only what you can see through tracing paper is difficult. There’s a huge urge to make things up and complete lines you can’t see. Quoi? Right front? Very important thing to note: when you’re planning on working with a pencil tracing on tracing paper, you can expect the pencil to smudge. So I rubber cemented them upside-down to protect the pencil lines. I lined the bottom front edge of the corset up with the grid, because I really believe that the front line was angled above the waist. I also believe that the photo I’m working with shows the outside of the corset, as the tabs appear to flare upwards where they’ve been bent for years. The back piece, again reversed. I used the armscye-> waist length against the center front and up from each of the tab tops to get a rough idea of the curve of the waist/bust lines. I divided the total number of squares in the waist in half to get some idea where the sideline of the body was. 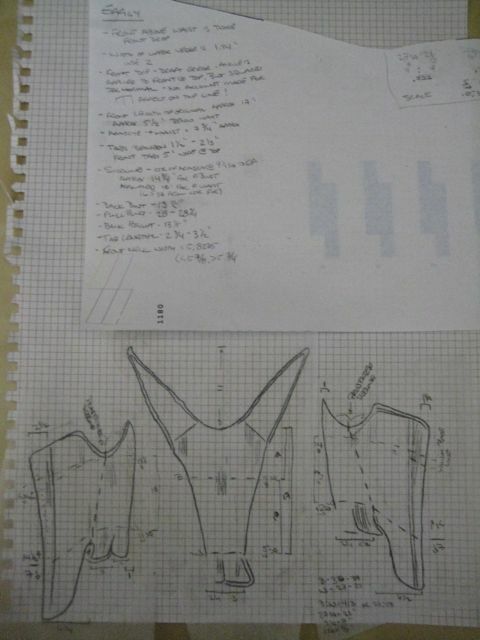 Here are some basic metrics for the Effigy corset. Assume that the vertical ones are more accurate than the horizontal, owing to the lack of curvature. The front above the waist is twice as long as the front below the waist. The center back panel has roughly 1/5 of the total waist at the bottom. The bust to waist ratio is between 4:3 and 37:29. The central tab does come directly from the side line of the body, like the Pfalzgrafin corset. 1/3rd of the back waist measure is at the side of the front piece. The small tabs are each roughly 1/6 of the back waist wide at the top. They do not appear to all be exactly the same size. They are slightly longer than they are wide, although the bottom of the back tabs that is entirely visible is equal to it’s height. See how the corset lies out in a relatively smooth arch? The effigy corset shows a much more sophisticated knowledge of pattern drafting – you can tell by that beautiful arch the bottom makes. That’s achieved by making smaller adjustments at multiple locations during the draft, rather than doing it all at the side back. 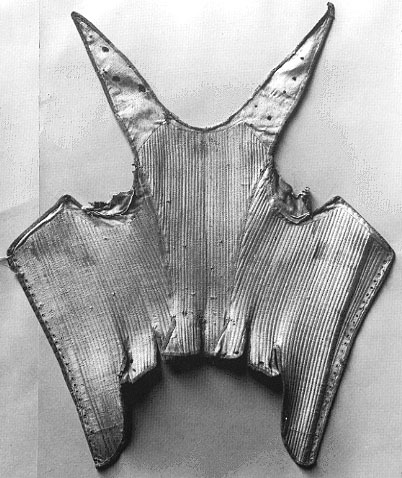 Add to that the fact that the Effigy corset is fully boned, something which isn’t really seen until 1680 or later. (Waugh, 38) Mind you, the number of surviving corsets from before 1700 is a pretty small pool. So what made Arnold think that, indeed, this corset is contemporary with Queen Elizabeth’s death? There are a couple of things. First off, it’s cut in three pieces. By the time you get into the middle of the 1600s, the torso is routinely shaped with 3-4 pieces per side. They are either divided into a front, side, and back piece, or further into a front, side front, side back, and back piece. (Ahem, except for the off stray example of a two piece, half boned stay from 1776. 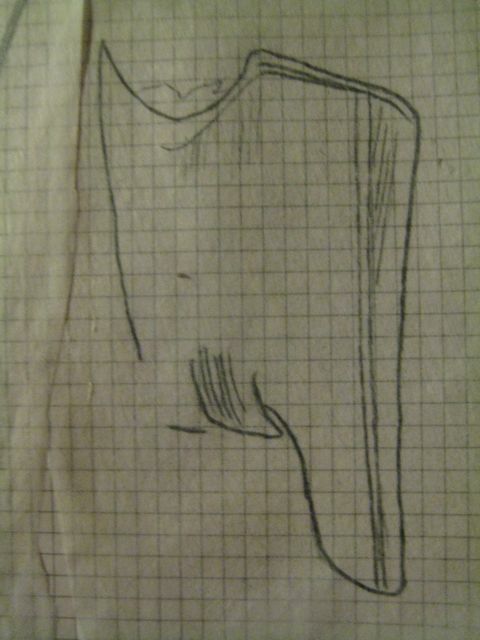 Waugh’s redrawing of Diderot’s illustration is on pg 40 of C&C.) Additionally, the boning is almost entirely straight up-and-down. Later corsetry shows an amazing variety in the placement and direction of boning, even in fully boned stays. Secondly, though, while the draft is much more advanced than the Pfalzgrafin corset, it’s still not nearly as advanced as later corsets. The shaping is being done in only two places. One of those is the side back. Eva Anderson webbed a really good picture of the Effigy corset on the effigy. 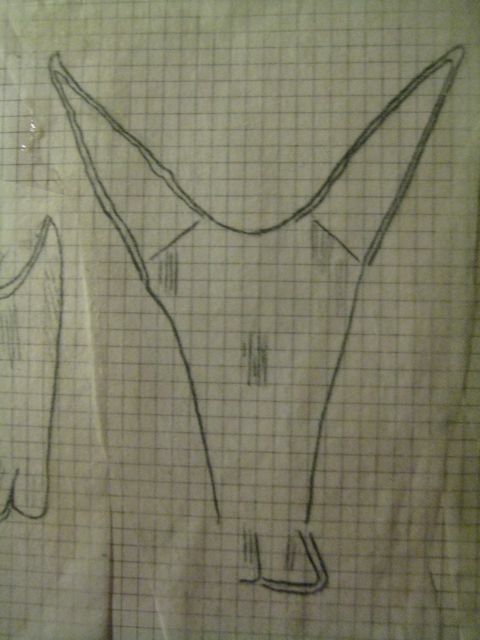 It’s worth taking a look at, because it gives us some major clues about how the corset was drafted. See, I was wondering why the darned thing dips in the middle. Was it not meant to be laced all the way? Was it deliberate? Or was it a drafting mistake? The answer there starts at the waist. Take a close look at the boning. There’s a very heavy bone that is parallel to the center front below the waist. All of the rest of the boning in the front follows this, except for the boning to the center front side of it. That’s a series of pieces that run (basically) parallel to the center front above the waist, each progressively shorter than the last (except for the weird on at the absolute center front that only goes partway down – I can’t explain that one). The bustline has been enlarged with a narrow triangle, with it’s point at the waist and it’s base at the top of the corset. 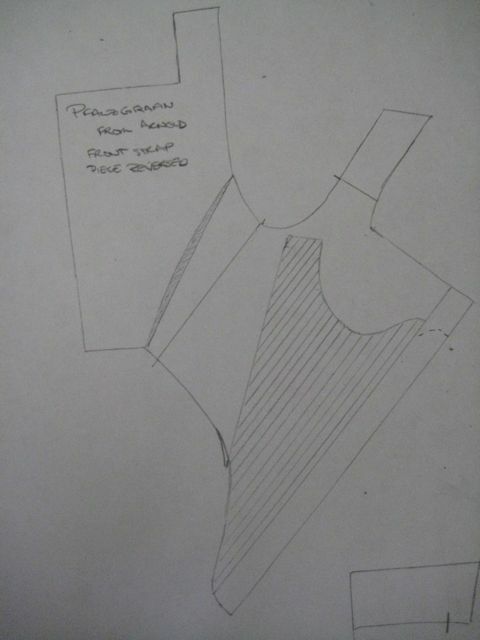 In other words, the corset has been shaped at the Center Front but only above the waist. Oh, yes. That’s pretty cool. But back to that dip at the front…. Rule one, when drafting pieces that meet in a seam, is that they meet square so that the seam doesn’t get a weird V shape. So you when you draft a center front opening in a corset, for example, you make sure that the top edge is square to the lacing edge. (And when we make the conic block, we’re really careful to keep the square lines at center front and center back!) Well, the tailor squared the top line to the Center front line, all right…. But it the top line was made as a single straight line. That works with a straight fronted design, like the Pfalzgrafin corset. When you start shaping at the Center front, however, you’re in the land of needing curves to model the arcs of the body. Hence the dip. And that’s all I’ve got….